Denon Envaya Bluetooth Speaker DSB250BTBK Japan . Denon Pro Dispatch Portable 2-Way Active PA Battery Powered Speaker with 5" Woofer & Bluetooth. 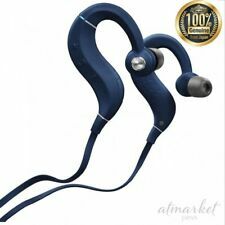 The integrated Bluetooth technology allows for streaming music from any Bluetooth-enabled smartphones or MP3 players. This dock supports 4th Generation iPod or later, and iPod nano. Model: HEOS1HS2WTE3. Denon HEOS 1 HS2. Make: Denon. Wi-Fi wireless audio streaming over your existing network. Condition is Used and looks like the casing has hairline scratches, likely from its finish and it being wiped. Otherwise it looks good and is in good shape. Selling used Denon AH-D2000. Has some minor scratches and scuffs (see photos). Works perfectly. I'm the first and only owner. Used them carefully at home. These are some of the best sounding closed/ semi-closed headphones you can buy. After the upgrade with Lawton Tune-Up #1 kit, the sound became even more pleasant. 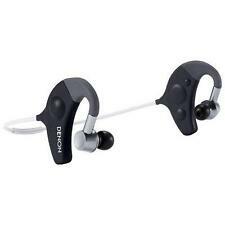 I'm selling them only because just bought Fostex TH900. No original box included. Trending at $217.50eBay determines this price through a machine learned model of the product's sale prices within the last 90 days. Model: AHGC20. Make: Denon. Check with the manufacturer for more warranty information. Sound quality is further improved due to the inclusion of advanced MaxxAudio® technology, studio-quality sound processing by Waves, recipient of a Technical GRAMMY Award® and world leading DSP developer for the professional audio industry. IT WAS GIVEN AS PRESENT TO MY SON. HE IS NOT INTERESTED AND PLACE IT ON THE SHELF. IT WAS THERE FOR ABOUT 2 YEARS. In Addition, the ASD-3W is an iPod dock allowing audio playback or video picture playback from compatible iPod models. The ASD-3W is DNLA certified,and is PlaysForSure compliant for ease of setup and use. Item is an open box used item, untested sold as is. Pics show exactly the condition and exact item, no other accessories with it. Denon Asd-11r Control Dock for iPod BLK 30-pin Connection, Dock & Adapter Only ! In a perfect condition, no scratches at all, works perfectly and it sounds amazing, if you are not familiar with Denon sound quality you will be amazed. All original colorful grills and original AC adapter icluded. Because of its IPX4 water-resistant design, it can be used in applications around swimming pools, water parks, and outdoor venues. There is also an XLR/TRS combo jack for a wired MIC/LINE input. This two-way speaker has all the features required for professional sound on-the-go, along with a luggage handle and wheels for easy transport and quick set-up. 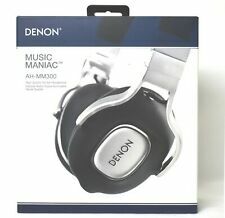 New ListingDenon AH-D340 Music Maniac Headband On Ear Headphones Black - MSRP $329.99! 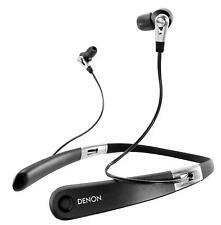 (1x) Denon AH-D340 Music Maniac Headband On Ear Headphones. 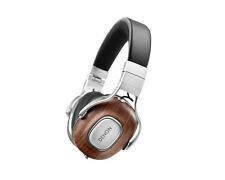 With Denon’s line of Music Maniac headphones you’ll want to do it again, and again, and again. Just put a pair of Music Maniac headphones on, plug them into your Denon amplifier or A/V Receiver sit back and hear your music like never before. 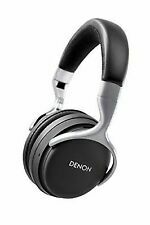 5 out of 5 stars - Denon AH-D340 Music Maniac Headband On Ear Headphones Black - MSRP $329.99! 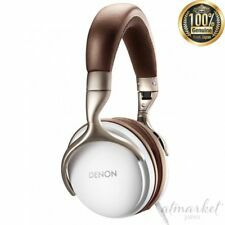 3 product ratings3 product ratings - Denon AH-D340 Music Maniac Headband On Ear Headphones Black - MSRP $329.99! CD Quality Streaming Bluetooth aptX Low Latency audio streaming makes the Envaya Mini ideal for listening to music, watching films, TV or video, or for gaming. A higher quality Bluetooth streaming format, aptX provides CD quality sound – as if you were connected to the speaker with an audio cable (most Bluetooth speaker systems employ standard Bluetooth streaming). I got a great deal on it. It's never been opened, never been used. NEW Denon DM-S205 Amplifier Surround Sound Calibration Setup Microphone. Condition is New. FREE SHIPPING Shipped with USPS First Class Package.